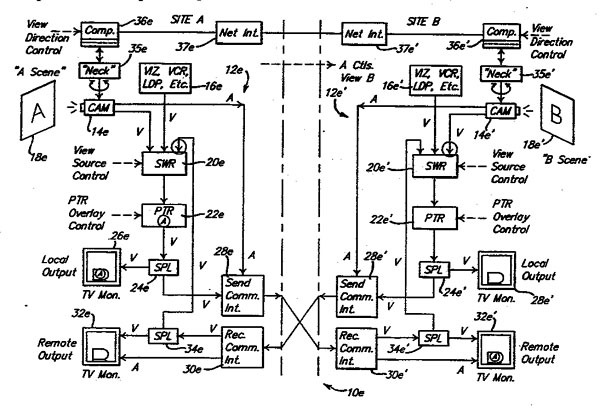 This page summarizes Lynn's patents for inventions in system architecture and user interfaces for interactive visual communications and control. The U.S. Patent number hyperlinks connect to each patent's entry in the U.S. Patent Office website database. These inventions have applications in on-site interactive presentations/collaborations, teleconferencing, remote coaching and remote control. They build on and exploit the emerging hybridized internet/broadband-cable communications environment and the associated rapid increases in communications bandwidth and connectivity. 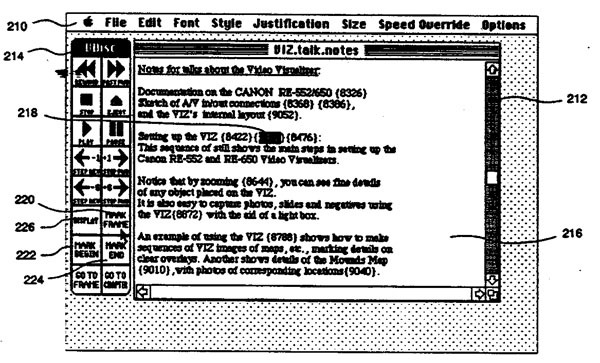 It is conceivable that these inventions could find wide application sometime in the future, as the overall visual communications infrastructure passes certain critical thresholds in scale. For example, one of the inventions, called "video mirroring" (with applications in videophone technology), allows users to coach, guide and train other people at remote teleconference sites by "mirroring back" transmitted video images and overlaying them with pointers and instructional information that can assist in the task being performed. In the future, video mirroring could be used to help rural physicians perform surgery or diagnose diseases with the help of surgeons at a major medical center. Other applications in fields such as engineering, education and construction, are also possible. Video mirroring is very easily understood and exploited by the average user. It is low in added cost and easy to implement within existing systems. However, this concept is so basic, subtle and simple in nature, that it hasn't yet been identified as a "requirement" within traditional teleconferencing technology. Thus we find a paradigm challenge to the early adoption of this useful innovation. I find such paradigm challenges to be quite interesting. 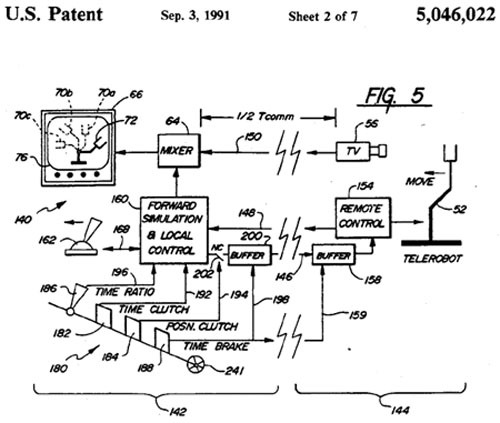 I have generated several more such simple inventions, as discussed below, to further clarify an interesting zone of visual-communications/control user-interface technology that seems to have been overlooked in teleconferencing technology, due to past traditional practices. Taken together, the following patents on these inventions help to characterize some of the research territory we are currently exploring. It would be fun to find some more of these things! 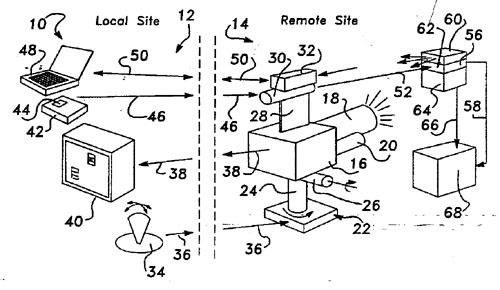 This invention provides a simple, intuitive means of unambiguously selecting things to be controlled in remote environments, by pointing at them and obtaining visual feedback from a "visual transponder" indicating that they are selected. 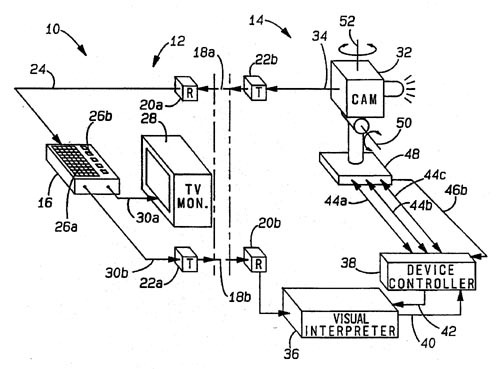 This invention provides the simplest possible user interface for rapidly storing and accessing visual media, with associative links embedded into simple text files or other working files. Applications include quick, informal management of large numbers of images from digital cameras.